On Sunday, Nov. 12, Christ Lutheran Church in Glencoe honored seven veterans by presenting them with their Quilt of Valor. 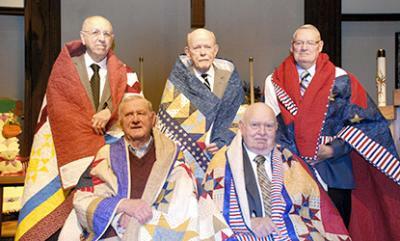 These veterans received a personalized quilt honoring them for their service to their country and to the church. Each quilt was made and presented by Christ Lutheran Church quilters.